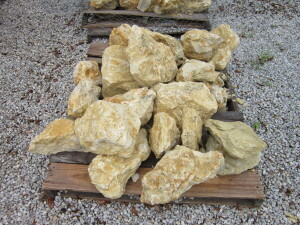 If you require limestone for a building project, the best company to turn to is ASAP Stone and Landscaping Supply. Our goal is to provide homeowners and contractors in Austin, Texas, with the greatest value for their dollar by offering only the highest quality stone products at competitive prices. Consistent – Our strict quality standards ensure an even density throughout, significantly reducing waste in your building project. Durable – However it is used, our limestone will remain sturdy long into the future. Versatile – The cost effectiveness and strength of our stone makes it suitable for an enormous variety of building applications. In addition to only supplying the finest limestone on the market, ASAP Stone and Landscape Supply also offers outstanding service. Whether you need speedy service so you can get back to your worksite quickly or advice about stone applications and the quantity you’ll need for your project, we have you covered. Of course, limestone is only one of the many stone products we offer. You can turn to our stone yards in Austin, TX, for flagstone, sandstone, and quartzite, as well as stone building components, such as veneers, boulders, and decorative stone. Contact us today to learn more.